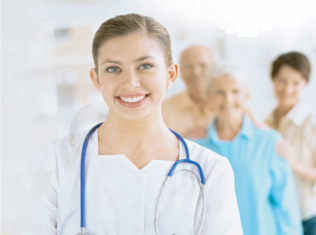 Registered Nurses (RNs) and Licensed Practical Nurses (LPNs) work with your doctor to provide home care services. Their assessment, skilled treatment and support provide the high quality care you need to recover at home. 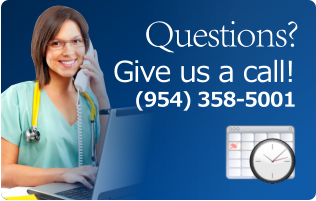 A registered nurse is available for admissions, urgent situations or questions 24 hours a day. Physical Therapy – Our physical therapy staff will come to your home to provide therapeutic exercise and instruction. Occupational Therapy – Occupational Therapists help patients regain day-to-day skills such as eating, dressing, housekeeping and personal hygiene. Speech Therapy – Can help patients improve speaking or swallowing problems. 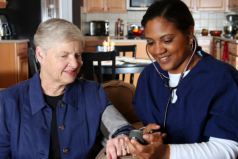 Certified Nursing Assistants and Home Health Aides facilitate the many activities of daily living, all under RN supervision. These services include bathing, dressing, toileting, ambulation/transferring and simple physical exercises. Attention to personal needs is a vital component of our service. Homemaker/Companions assist with the daily tasks around the home that can become difficult to manage when a client is not at full strength. Medical Social Services – Our medical Social Services staff helps patients and family members understand and cope with problems caused by illness or injury.